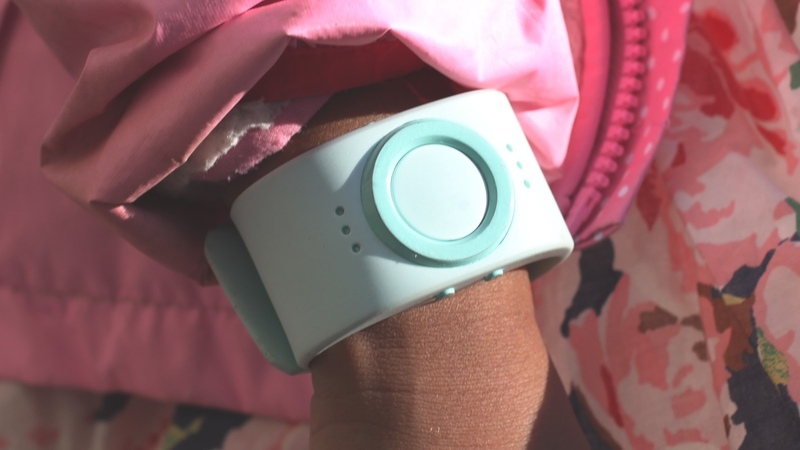 Tinitell, a Swedish startup that makes a GPS tracking smartwatch designed for kids, has scooped a SXSW Accelerator Award for the wearables category over in Austin, Texas at the Interactive festival. The Kickstarter backed project, which is the brainchild of CEO and founder Mats Horn, isn't all that different from the likes of the the Filip 2, the LG GizmoPal or the SAFE Kids Paxie Band, but it's its simplicity that appealed to the SXSW Accelerator judges. The Tinitell wearable is essentially a phone that a child wears on his or her wrist, packing a week's battery life (with 60 minutes talk-time), GPS and GSM connectivity, and a durable water resistant design. It works with a tandem smartphone app, that parents control, and it can store as many numbers as the wearer's guardians want it to. Kids can make calls using gestures or voice controls and there is, of course, safety features like geo-fencing for mum and dad. Like we said, nothing too ground-breaking but the affordable price tag, ease of use and simple design is ultimately what appealed to the judges. "We're not trying to create the most advanced mobile phone in the world," stated creator Horn. "We wanted it to be light, highly durable, radiation safe and most of all ­– easy to operate for our youngest. While offering parents some well-deserved peace of mind. "We wanted to create a piece of hardware with a price point well below smartphones," he added. "The number of international startups that want to be a part of SXSW Accelerator continues to grow and proves how popular the competition is becoming around the world," said SXSW Accelerator event producer Chris Valentine. "This year's startups were the strongest entries yet, and I'm excited to see how these companies will evolve and grow as a result of the exposure they received here." Tinitell comes in a range of colours and can be pre-ordered now for $129. Delivery is expected in April.